The Apple Tree Grafting season has now begun. Although the first day out brought snow in Ulster & Sullivan Counties, the weather quickly warmed up. The best time to graft is when the bark begins to slip or becomes pliable. Hopefully, this April will be more cooperative than last year. Last April seemed like another month of March weather–cold and snowy. We’ll see. 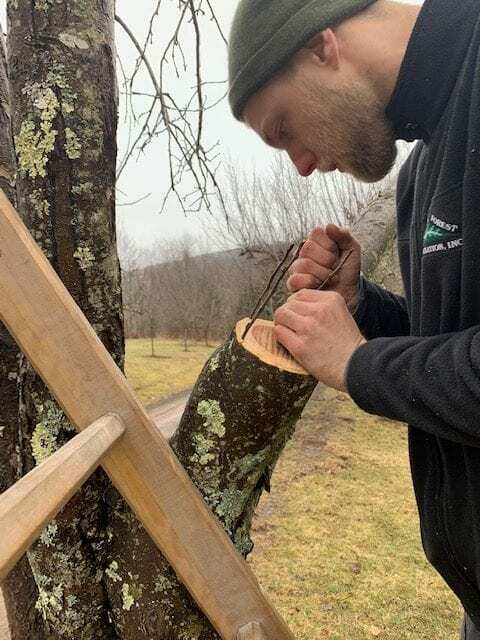 Tags: apple tree grafting, Apples, Catskill Forest Association, Catskill Mountains, grafting Categories: What's New?